It is very common for warehouse equipment to hit onto pallet racks which may cause additional expenses in equipment repairs or the employer injury, or worst, both. Pallet Racking Systems are very fragile when it comes to impact, be it a low or high speed collision. The worst incident that could happen is the collapse of the whole Pallet Racking System, which could lead to worker’s injury, not to mention, the cost of repairing it. This is the reason why the best option is to protect your pallet rack with a Rack Protector. All Pallet Racks in the warehouse exposes huge potential safety risks to both you and your employer. Therefore, it is important to take good care of your Pallet Racking Systems. 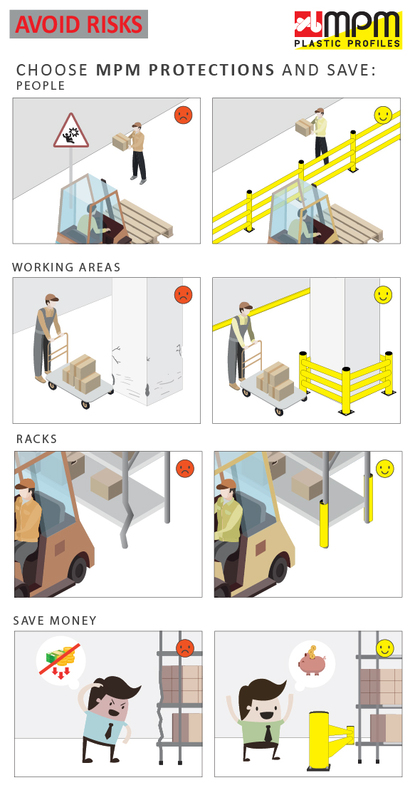 Always remember to maintain your Pallet Racks’ long life, avoid perilous injuries, and costly equipment damages.